Missions: Reaching out the World from Where You Are! Dr. Terry Casiño was born in the Philippines. He is a theologian, missiologist, educator, missions strategist, and catalyst for global diaspora missiology. 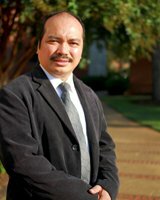 He earned his Doctor of Theology (Systematic Theology & Philosophy of Religion) from Asia Baptist Graduate Theological Seminary in the Philippines and Doctor of Philosophy (Missiology & Contextualization) from ACTS, the international graduate school of Asia United Theological University in South Korea. 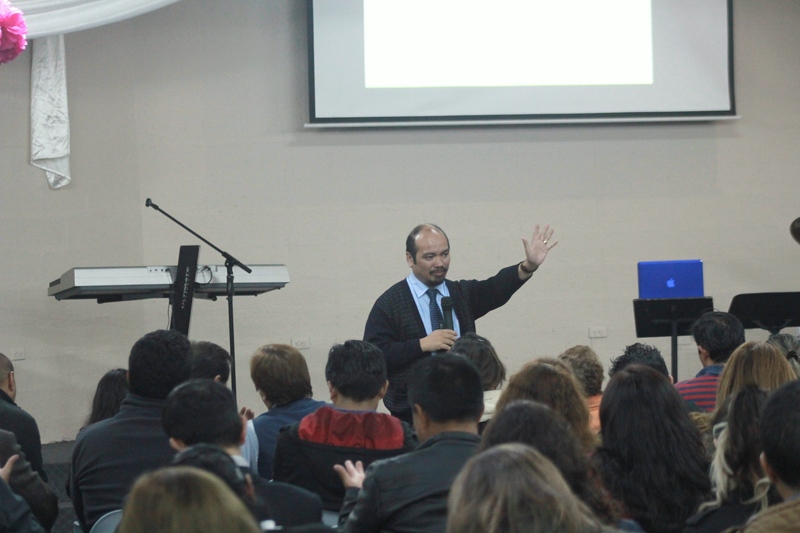 An international scholar, Dr. Casiño’s works have been published in the UK, South Korea, the Philippines, North America, India, and Australia. He has served invariably as a minister, lecturer, conference speaker, missions consultant, or researcher across Asia, Europe, Africa, North America and Latin America. The following is an excerpt of the Asomavisión TV interview with Dr. Terry Casiño. 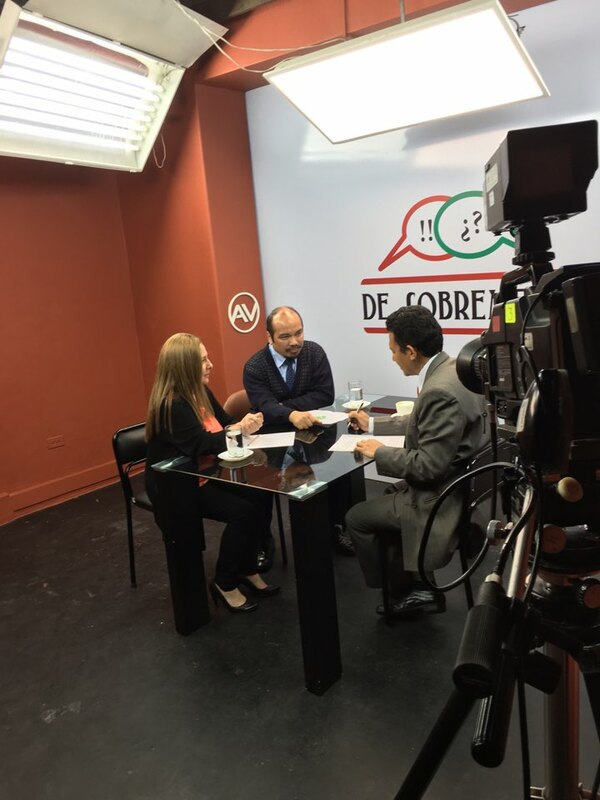 Courtesy of “De Sobremesa TV Program” and Pastor Pablo Gutiérrez, Producer / Interviewer [Quito, Ecuador]. What are your first thoughts about this biblical text (Acts 1:8)? Acts 1:8 actually is very central to our theology of missions as Church. Because it was a text that was given to the disciples before Jesus ascended to heaven. And Jesus laid out a plan on how to change the world and how to spread the Gospel, using this text. There are two things that I would like to share about this text. The first is the scope of missions. And Jesus said that it started in Jerusalem, then Judea and Samaria and the uttermost parts of the earth. So, mission in this particular text is basically universal. But this text does not talk about priority of mission. Sometimes we think of Acts 1:8 as something that refers to priority in mission, but this text is not about priority. This text is about mission strategy. In the original language, the word “ἔν τε” (en te) “both” in English, is crucial for understanding of this strategy. Because it actually says, “beginning both in Jerusalem, and Judea and Samaria.” So, the word “en te” is so important. It means simultaneous activities in Jerusalem and other parts of the world. The second important thing about this text is the thrust of mission, the emphasis of mission. Some church leaders, for example, would teach that for Acts 1:8 to be fulfilled, then we need to start this from Jerusalem and then move to Judea, and then move to Samaria and then to the uttermost parts of the Earth. But this text actually says that the thrust of mission is where people are they should have access to the Gospel. In other words, it does not guarantee that if our Jerusalem Church is big that our vision for other nations will be big. Because when our Jerusalem Ministry sometimes gets bigger we get stuck within our Jerusalem and then we forget the other nations, the other people groups. So, what this text is all about is very simple. That souls or individuals in Jerusalem are equally important with those who are outside Jerusalem, vice versa. Why to begin in Jerusalem? Well, Jerusalem is the hub for all this missionary work. Because if everyone goes out of Jerusalem, then there will be no one to support those who are going out. So, there has to be a strong integration between ecclesiology -the doctrine of the Church-, as well as missiology, which is really the study and the practice of missional work. The text says Jerusalem and all these geographical locations, right? That is like linear… going in one direction. But today the nations have come to Jerusalem. They’re here in Quito [Ecuador]. The nations are here! And because not every believer in Ecuador can go to the nations, so God sent the nations here. Then, it is important that we recognize the presence of the nations here, so that we can fulfill Acts 1:8. You have done missions work in several parts of the world like Asia, Africa and in America, but let me ask you, what motivated you to get involved in missions? for me. Plus Philippines is beautiful! Just like Ecuador! But when I was 20 years old I attended a mission’s conference. And I was a very young pastor. It never done on me that there are people who need the Gospel outside my country. It also never done on me that there are people who need the Gospel outside my own cultural community. But then God sent me to the mountain areas. So I served as a tribal missionary for some years. So, I started with a tribal group and then God sent me to Japan in 1988. Then God sent me to South Korea in 1992. Then after that, you know 50 other countries more. But the motivation is basically based on what I saw, you know, outside of my own community. The hunger for meaning, the hunger for truth. The hunger for something deeper, although they’re professionals, although they’re medical doctors, or lawyers, or engineers, there’s this hunger for truth in their lives. I’m so much interested in people moving from one place to another. We call it diaspora missions. There are one billion diaspora people in the world! When you talk about missional diaspora, you are referring to people in general moving to different places for several reasons; you are not actually referring to people involved in missions, i.e. missionaries who are sent off and are financially supported. Could you explain more about that? Well, the missionaries are part of the global diaspora. All kinds of people who move from one place to another are under diaspora. There are almost 250 million international diaspora. And there are more than 700 million internal diaspora. Like in Ecuador, in South America, especially in Colombia, there are internal diasporas. People moving from one place to another because of so many factors. In fact, Colombia has 15% of all these diasporas alone, internal diaspora. And there’re so many diasporas in Lima and also in Brazil, all kinds of parts of the world, especially Europe now. So, one of my interests is this. If I cannot go, for example to Peru to reach out to the Peruvians. I reach out to the Peruvians in Charlotte area [North Carolina]. So for example, if an Ecuadorian church cannot go to India. Then that church can reach out to the Indians here [in Ecuador]. Because diaspora means from everywhere to everywhere. process usually takes several years of preparation. Based on the Biblical Text (Acts 1:8) and on what you have mentioned on Missional Diaspora, we should not stop going into the world but we should also prioritize the outreach of those who are already in our nations. Is it so? Exactly, we’re talking about strategy, not priority. Because it doesn’t make sense spending so much money going overseas and not being able to reach out to those people whom we are trying to reach overseas and they’re already here. And we would always send missionaries overseas. We should! But we should also be good stewards of the funds and resources that God has given us as a church. Just to give you an example, there are 30 million Chinese tourists at the western side of Europe every summer. And we spend so much money trying to teach our missionaries Chinese language or you know, training them in their culture. And yet, there are 30 million of them right there every summer. Your final words for our audience! Well, it’s very simple. Know that the love of God and the forgiveness of God are offered to everyone. If you are a child of God, God has called you to serve Him as a missionary. And you should fulfill that mandate. And if you are still seeking for truth, and if you are not very sure about your salvation, come to Christ! Because Christ is the Salvation for this world. Not your works. But Christ’s grace! ← When the earth shakes, your whole being shakes as well!